Category: Other. 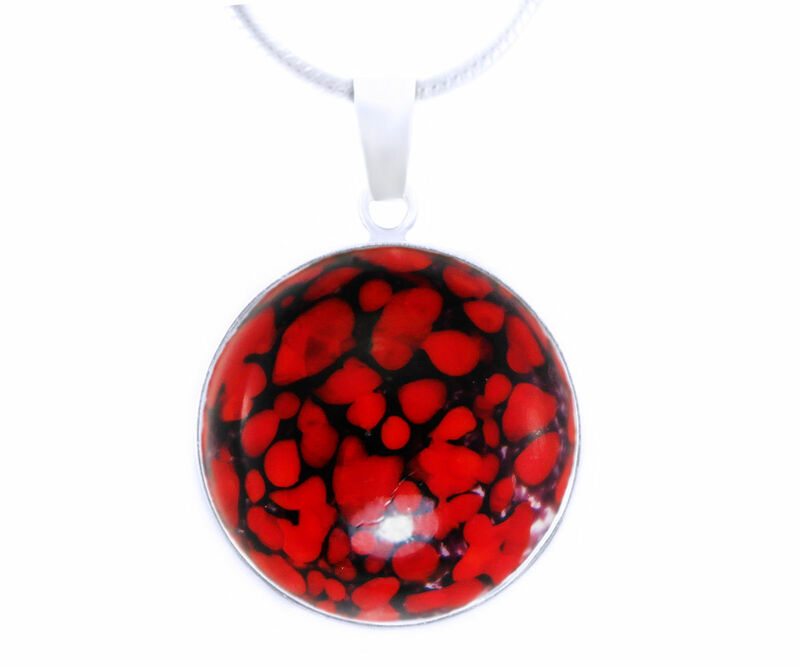 Tags: black necklace, black pendant, black round, black silver, black white, pendant necklace, red black, red necklace, red pendant, red round, red silver, red white, round necklace, round pendant, silver necklace, silver pendant, silver round, white necklace, white pendant, white round, white silver. Treasuries Of The Earth Collection – each glass stone has unique design, there are no similar stones. Each Treasuries Of The Earth stone is made by hand from crystal Bohemian glass rode (choose your color!). From the beginning to the end each stone from Treasuries Of The Earth Collection is made using old lampwork technique which makes it unique and made only for you!